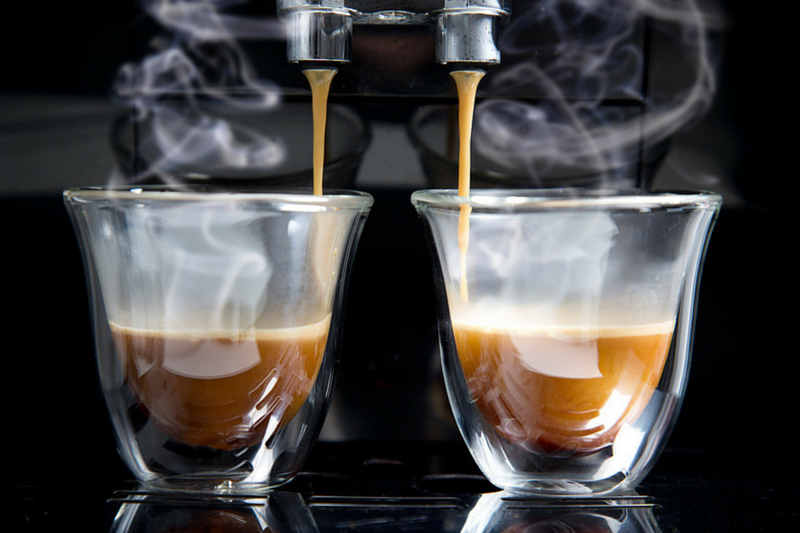 Making a truly authentic shot of espresso is pure art. Baristas need years of experience to perfect their skills to get to a point where their cup of java makes you all weak in the knees. And as members of the human race, we’ve long worshiped these baristas as demigods for their ability to take mere beans and turn them into liquid heaven. But the tide is shifting. There is a new crop of coffee machines that risk running these baristas we love and cherish out of business, with their ability to pull a perfect shot of espresso at just the touch of a button. 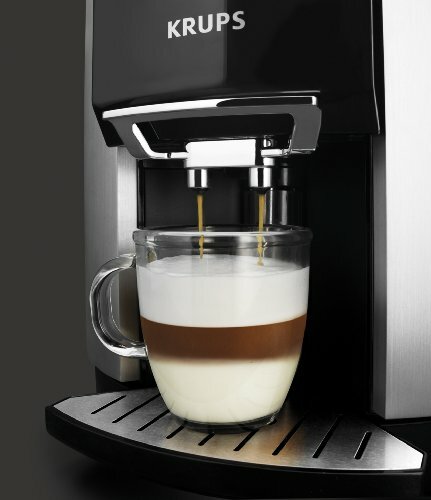 And the KRUPS EA9010 fully automatic espresso maker is one of the machines leading the charge against the status quo. With a hefty price tag of around $1,600, this is certainly no cheap buy; you can probably get a desert island for that sort of money. But this French-made coffee espresso maker promises to provide 'passion, precision & perfection’ with every cup churned out. Let’s see exactly what a two grand coffee maker is all about! The KRUPS has a certain minimalist beauty about it that immediately draws you in. It doesn’t have any excessively-premium finish or a diamond-encrusted cup warmer that may clue you in to its price. But it comes off as solid, well-made and endearingly charming. At 23 x 15 x 20 inches, it definitely isn’t what you can call small. But the designers have used space very intelligently to cram a whole lot of kit into the machine. Looking it at it, you wouldn’t tell that there is a metal conical burr grinder, 8.8oz bean hopper and 56oz water tank lurking somewhere. That’s because all these have been beautifully integrated inside the machine. Open the panel on the left and you'll find the grounds dump container and bottles with cleaning solution. Open the on on the right and you'll stumble upon the refreshingly easy to remove water tank. Flip a lid at the top and you'll find the bean container with grinder lying underneath. All these integrated compartments lead to very clean looking lines; a design that will look sensational in your kitchen. 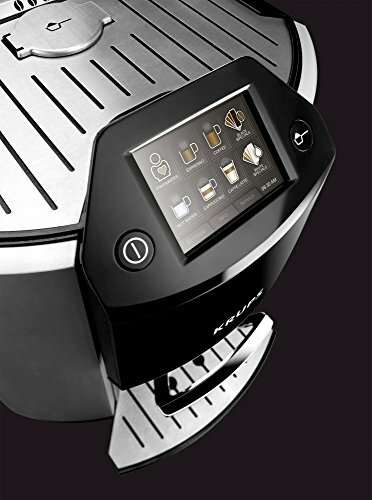 The front sports a color touch screen with a button on either side- one being the power on button and the other for opening the pre-ground coffee compartment that sits below the cup warmer. Despite being a bit hard to see when the room is fully lit, the touch screen is a total joy to use and unlocks the magic that lies below the unassuming hood. 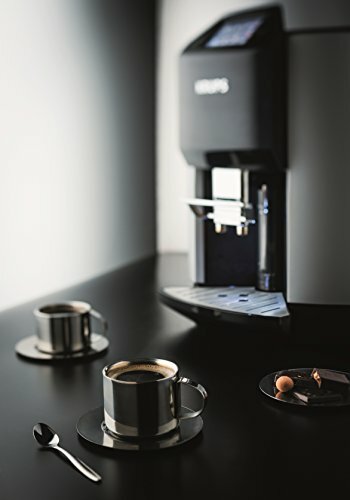 KRUPS have designed this bad boy to be the ultimate barista espresso coffee maker. At just the push of a button, you’re meant to brace yourself for taste bud-thrilling espresso without having to break a sweat. The initial set up of the machine is pretty intuitive. 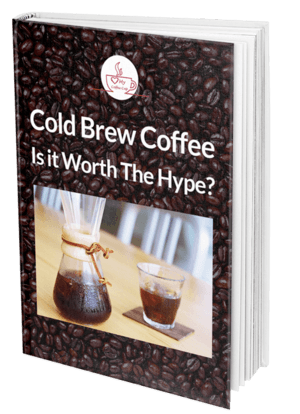 You’ll first have to test the hardness of your water using the provided kit, key-in the values, let the machine work its wizardry, and then start brewing that java. And boy do you have numerous options at your disposal. You also have the freedom to customize your cuppa joe by saving up to 8 profiles that each have an allowance of up to 8 recipes. When you select the drink you’d like to sail to cloud nine on, the machine automatically calculates the quantity of coffee, grind fineness, and water temperature needed to whip up the perfect cup. And all you have to do is stand there and look pretty as technology does its thing. Okay, we have to give it up to the people at KRUPS. 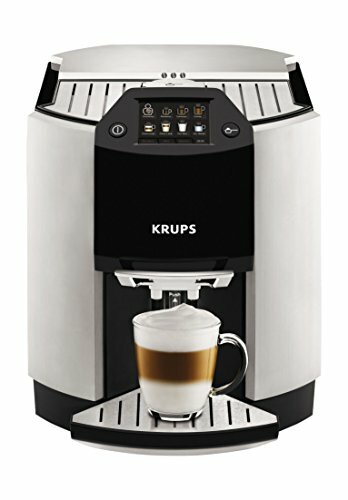 The milk frothing ability of the Krups E9010 is almost jaw-dropping. 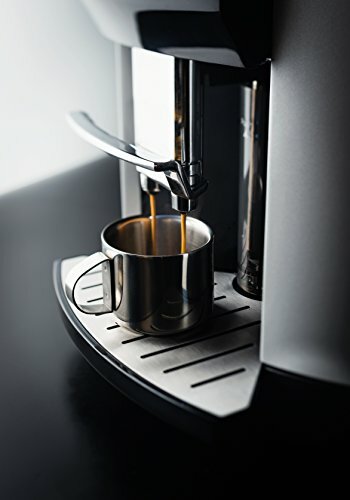 With most espresso machines, if you want to whip up, let’s say, a latte, you have to use a separate milk container and manually operate the milk frother. But with this genius here, all you have to do is select your drink, follow the instructions on just how much milk to put into your cup, and then wait for the show to begin. A motorized steam wand lowers itself into your cup, heats the milk, froths it, and retreats back into its chamber, where it automatically cleans itself. So no more battling with hard-to-clean milk frother parts in the sink. The EA9010 gets top marks for usability and convenience. Give it to your 90-year old grandma and she’ll be able to figure it out in no time. Thanks to the Thermoblock system, you’ll be able to brew your favorite drinks pretty quickly. An espresso or lungo should take about a minute, while milk-based drinks like cappuccinos and lattes take twice as long. As is expected of fully automatic machines, especially ones at this price point, it comes with bells and whistles like an auto-off feature and an alert when the grounds bin needs to be emptied. This machine is crazy about cleaning; a total neat freak! And while doing the actual cleaning doesn’t need a lot of effort on your part, it might require a bit of it from your wallet. If you were to clean it every single time it begs you to do so, expect to spend close to $10 a month on cleaning supplies. Grinder is a bit loud. There is no escaping the price, thats a lot of money; especially for a coffee machine. 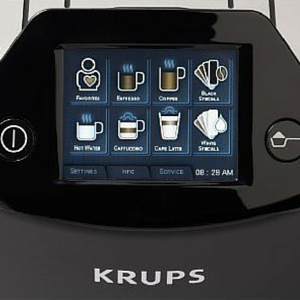 But giving credit where it deserves, KRUPS have managed to create a machine that is nothing short of brilliant. The espresso produced is exceptional! The build quality is impressive! The functionality is nothing short of amazing! If you have a couple of grand lying around and don’t mind splurging on a bit of deliciousness, then the EA9010 is a purchase you won’t regret.